We have been around for 30 years and over that period we have worked on many interesting projects. 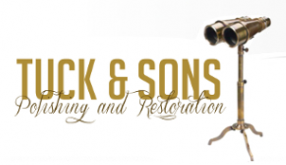 When we began 30 years ago, we were restoring antique scientific instruments and medical instruments. Gradually we expanded into other areas such as nautical instuments, examples of which are sextants and octants etc. As time went on we were asked to do an increasingly wide varitiy of work, expanding even further to include large wartime binoculars, ejection seats, theatre lights and much more. In the past we have been asked to create film props for films such as Harry Potter, Hornblower and Christopher Columbus films. One of the armillary spheres we produced ended up on 'M's desk in a James Bond film.